/201710/1.2113786-844128621Moscow: President Nursultan Nazarbayev, the only leader that independent Kazakhstan has ever known, abruptly announced his resignation Tuesday after three decades in power, raising uncertainty over the future course of the Central Asian country. He said that upper house speaker Kassym-Jomart Tokayev will serve as the interim head of state in line with the constitution until a new election can be held. Kazakhstan, despite having a population of only 18 million, is the ninth-largest country in the world with an area of about 2.7 million square kilometers (1 million square miles). It borders Russia to the north and China to the east and has extensive oil reserves that make it strategically and economically important. 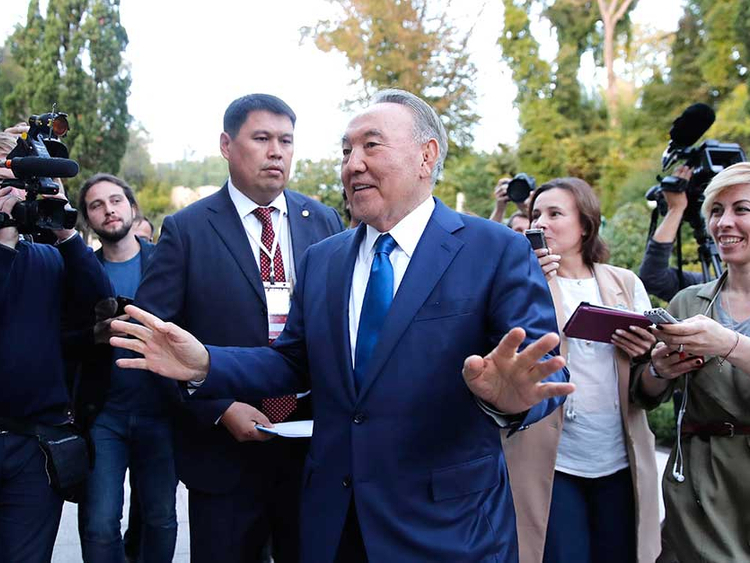 Nazarbayev has been widely praised for maintaining stability and ethnic peace in Kazakhstan but he also has faced criticism for marginalising the political opposition and creating what is effectively a one-party state. In 1997, Nazarbayev moved the country’s capital from Almaty to the remote northern city of Astana in what was widely considered a way to fuse the ethnic-Russian minority in the north to the new Kazakh state. The new city was filled with post-modern architecture, including the soaring glass pyramid of the Palace of Peace and Accord, dedicated to harmony among religious and ethnic groups. Soon after, he announced a program of more generous spending for large families. Nazarbayev has extended his tenure by landslide victories in successive elections and plebiscites. He took nearly 98 per cent of the vote in the most recent election, in 2015, when elected for another five-year term. Nazarbayev was born into a poor rural labourer’s family on July 6, 1940. As a young adult, he worked in harsh conditions at a steel plant’s blast furnace and at age 22 he joined the Communist Party. Nazarbayev was the last of Central Asia’s former Communist Party bosses to remain in power after the deaths of Turkmenistan’s Saparmurat Niyazov in 2006 and Uzbekistan’s Islam Karimov in 2016.